Some years ago we sent a journalist on one of the 5 Gyres Institute boats to share in the crucial research into the impact of plastic beads on our oceans. Our passion for the ocean demanded that we get involved with this plight of the most important source of protein on the planet – and of many of our connection to nature. If there is one issue which moves me deeply it is this vicious cycle that delivers plastic beads into the stomachs of sea creatures, and hence also ourselves. Talk about the chickens coming home to roost! Hence the Green Times is helping to launch the South African #beadfree action campaign. We trust you will sign up too and spread the word. Let’s stop this insanity? Let us leave our children a healthy ocean? See details about this campaign at the bottom of this article. A tiny organisation making a big impact – or is this David and Goliath? Every now and then, a tiny organization comes along and makes a not-so tiny impact. One of these organizations is the 5 Gyres Institute, an entity dedicated to the research of aquatic plastic pollution and finding solutions for a plastic-free ocean. We sat down with Lia Colabello, Director of Global Partnerships & Community Engagement at 5 Gyres, and talked to her about the organization’s inception, its mission, and its latest and greatest accomplishment: the ban on microbeads. Learn how 5 Gyres fought the current of politics and became more than just a drop in the ocean of environmental initiatives. 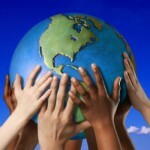 What are the 5 gyres and how do they relate to your mission? A gyre is a system of rotating currents, at the heart of each ocean, where large quantities of plastic pollution accumulate. So the name of our organization is a nod to the five major gyres in each ocean: North and South Atlantic, North and South Pacific and in the Indian Ocean. Prior to creating 5 Gyres, our two cofounders, Anna Cummins and Marcus Eriksen, were part of Algalita, a research foundation dedicated to the protection of marine life through education on the impacts of plastic pollution. Algalita’s founder, Captain Charles Moore, was the first person to really draw attention to the amount of plastic accumulating in the North Pacific Gyre. Anna and Marcus began working directly with Moore and realized that they had a desire to understand the wider distribution of plastics in our oceans. They named the organization 5 Gyres because the initial goal was to sail though all five major gyres and study the impact of plastic pollution. What is the nature of your job at 5 Gyres? Currently, I work closely with corporations through partnerships, cause marketing activations (creating mutually beneficial relationships between for-profit business and non-profit organizations), and on innovations to help reduce their global plastic footprint. 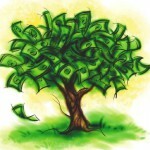 Many corporations want to reduce their footprint but they don’t have anyone on staff that is dedicated to this field. So I suggest innovations that I come across in my day-to-day work. For example, a corporation may say, “We would like to reduce our plastic packaging.” And I would offer a possible solution, “Have you heard of Ecovative? They’re making ‘styrofoam’ out of mushrooms – so that’s a solution.” Most packaging is made from virgin plastic and, while a percentage is recycled, the majority of it ultimately ends up in landfills or leaks into our environment. I suggest circular economy solutions such as post-consumer recycled plastic – these items stay within the economy, out of the landfill, and out of our oceans. I also work on global policy initiatives – working with government and non-government contacts to change policy on plastic-use. So, for example, earlier today I was chatting with a staffer from the UK Parliament who is creating a brief for government officials on the impact of microplastics, particularly microbeads. 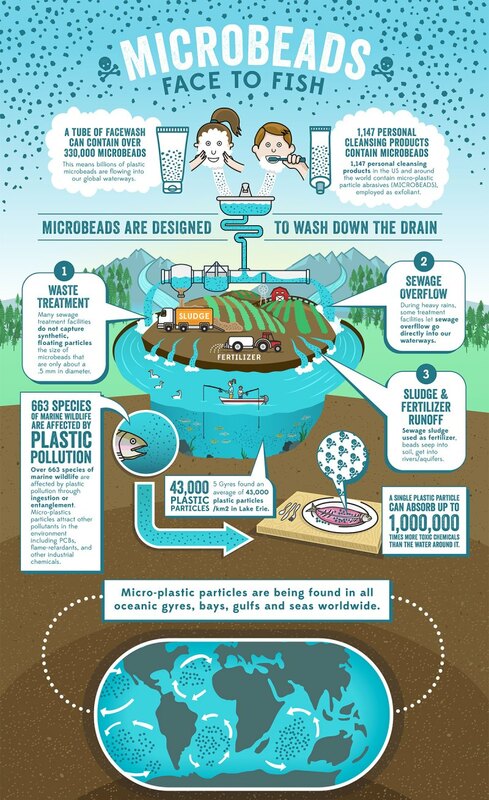 What are microbeads and how do they get into our oceans? Microbeads are very small, round pieces of designed plastic that are used in personal care products, specifically as an exfoliate. They are a single-use plastic, that is, designed to be used once and then released out into the environment. You wash your face with them, brush your teeth with them, and then they go down the drain, out into our watersheds and eventually, our oceans. How do microbeads, and plastics in general, affect wildlife? Can these plastics swim up the food chain and land on our plates? First, let me start by saying that plastics are basically toxic sponges, soaking up pollutants in the water. Plastic is consumed by wildlife, causing digestive problems, malnutrition, illness, and even death. More than 600 species of marine life are impacted by plastic pollution, including all seven species of sea turtles. For a local example of the issue of plastics entering the food chain, a wonderful student at the College of Charleston did a research product on common grass shrimp and the amount of plastic they ingest. She found that, on average, a tiny grass shrimp had four pieces of microplastics in its stomach. Grass shrimp are on the lower end of the food chain. So yes, we are finding plastic in the fish that we eat. Dr. Chelsea Rochman, a friend of 5 Gyres, is currently studying fish that are brought to market. She’s studying two markets, one in Indonesia and one in California. So far, she has found that 26% of fish in each of those markets has plastic in their stomachs. 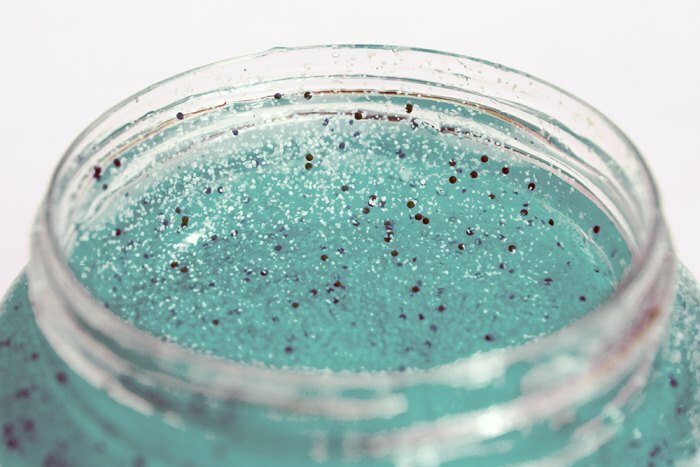 What steps did 5 Gyres take to eliminate the use of microbeads in products? We started the microbeads campaign in 2013. While doing research at the Great Lakes, we kept finding these tiny little plastic beads. We confirmed our suspicions later in the lab: they were microbeads used in personal care products. Not only that, but we could actually match the specific beads to the companies. So for example, the perfectly round, aqua-colored beads we found were a direct match for a specific personal care company’s product. You can’t make a direct match like that with most plastics because plastic becomes fragmented in aquatic environments through photo degradation, wave action, and animal ingestion. 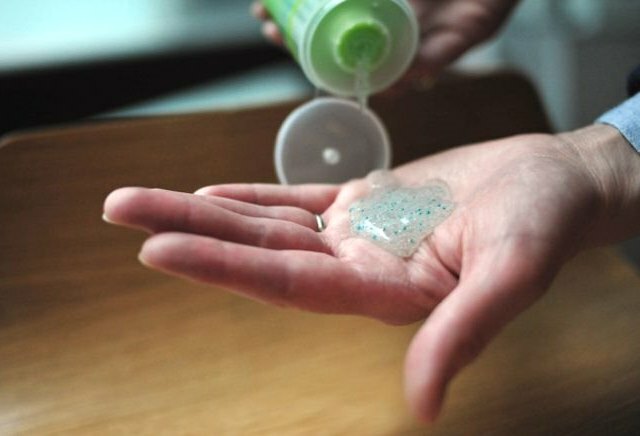 It’s very hard to tell the direct source of most plastics – but you can tell with microbeads. So that was a very important aspect with microbeads. It was groundbreaking because we could go to the microbead manufacturers and say, we found your product in copious amounts in our water and it is polluting our environment. It’s all about product design change. How do we get these companies to change the exfoliating ingredients in their products to something that is marine degradable? The first thing we did was write to the companies. We told them what’s happening with their product once it goes down the drain and suggested that they reformulate. The response was lackluster. 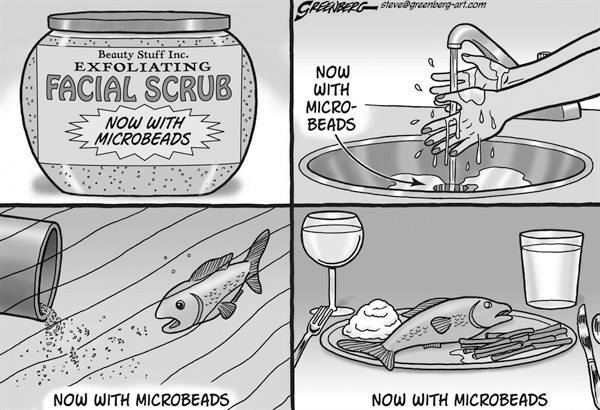 But in due time, literally trillions of microbeads are washing down the drain in the U.S. alone! So one of 5 Gyres’ staffers and a board member drafted model legislation with a few of our supporters and partner non-profits. The idea behind the legislation was to use policy as a tool to get companies to reformulate by banning their products from store shelves based on the fact that they contain environmentally damaging ingredients. The bill was introduced in several states including California and New York in 2014, with excellent momentum, but did not become law. Our network of non-profit partners and legislative supporters started the process again in 2015 and this time, everyone’s hard work paid off, with the bill passing in California, just before sailing through Congress, where a version of it had been introduced by New Jersey Representative Frank Pallone. I mean, it sailed through Congress – THIS congress! Do you ever hear about anything sailing through Congress? It was just amazing! The President signed it into law at the end of 2015. All microbead products will be banned from shelves by 2018. The speed of this entire campaign, from discovery to a federal bill in only three years, was a huge accomplishment for the environmental movement. What’s the next step in the fight against microbeads? The U.S. ban on microbeads will go into effect in 2018 but, until then, trillions of beads will wash down the drain. To drive consumer awareness about this, we just launched the 5 Gyres #BeadFree action campaign that provides participants with a variety of tools to help them create change in their communities by educating their family, friends and colleagues about plastic microbeads in personal care products. Our customizable tools and educational components can be utilized for social media posts, tabling on campuses, giving presentations or creating fun educational events. 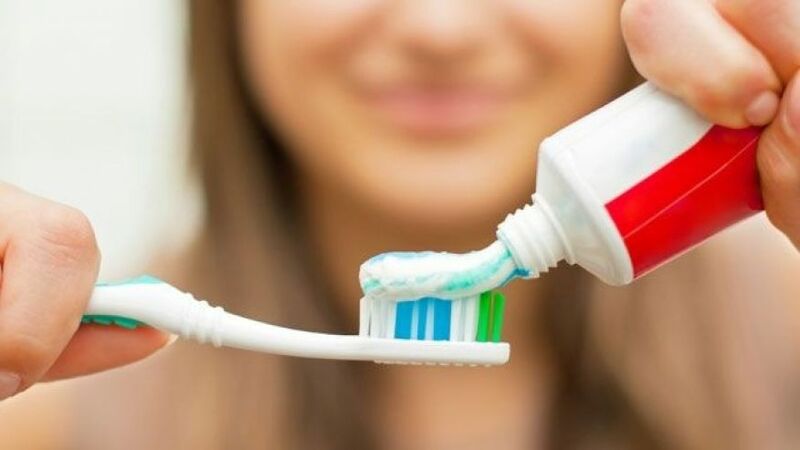 Campaign members will have the opportunity to collaborate with individuals across the globe with the same goal as them – to stop the use of microbeads. Members of the Microbeads Action Campaign will also be invited to exclusive educational events. We have signed up for the two months action campaign, which started on 1 May, and trust you will do the same right away. People who want to participate and get involved in our action campaign can sign up or simply take our #beadfree pledge. hi Richard, have you tried googling this? What I know is that cosmetics and cleaning materials with a scouring effect – facial scrubs, for example, may contain these plastic beads. But then if you’re using eco cosmetics and cleaners, which I trust you are doing, then you will not be supporting this destructive industry. I am sure there are more, but this is a good place to start.Remember also that ALL plastics that end up in the ocean break down eventually into plastic beads – the way they were before they were melted down and shaped into other shapes. So all plastics you use and don’t specifically recycle can end up like this in the ocean. Thanks but I am now more confused! After extensive research all I have discovered is that there are a few niche suppliers whose products do not contain microplastics, but unlike the UK and USA where the use of micrplastic beads is banned, they are still allowed in South Africa. Why is this and what can I do? Richard, join the campaign and refuse to purchase those products. Someone needs to do a story on all the products we need to reject. Sounds as if you have quite a bit of knowledge. How about you write this for us?